Here’s an interesting and fairly little-known novel that was named an ALA Best Book for Young Adults. 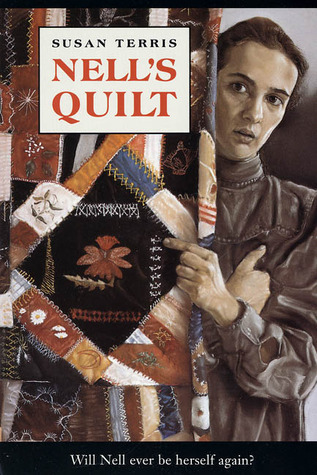 Book: Nell’s Quilt, Susan Terris, 1996. This book always left me feeling distinctly unsettled when I read it as a teenager and for that reason it wasn’t exactly on my favourites list. It’s a weird hybrid of a historical fiction novel about a girl chafing against societal expectations, and a novel about anorexia. There’s quite a bit of scholarly work done on the topic of girls and women in the Victorian era starving themselves, but it’s more closely related to theories on control and power dynamics than to body image. I do realize that modern anorexia is also very closely related to those things, but the body image thing is significantly a greater factor than in the Victorian period. Let’s dive in. Nell is eighteen, and her parents have just informed her that her father’s second cousin Anson Tanner has proposed to her. Nell is staunchly opposed to this—she would rather move to Boston and “help people” as her grandmother did, who was a campaigner for women’s rights. Her mother points out gently that her grandmother’s money is gone and she can’t afford to do so, and her younger sister Eliza says that if she marries Anson the whole family will do much better. “I could not believe my ears. Was this truly 1899, only ten months shy of the beginning of the twentieth century? Or had I been catapulted back into the Middle Ages?” Okay, while I understand what they’re driving at here, 1899 wasn’t exactly the modern era we know and love today. Nell’s total shock at this announcement is a little out of place. One day I will stop doing books from the Dear America series and spinoffs, but it is not this day. It is probably not until next week. Book: Kaiulani: The People’s Princess, Hawaii, 1889. Ellen Emerson White, 2001. This is one of those books I never read as a kid, so I read it for the very first time in my twenties, and I’m not sure how much I would have enjoyed it as a kid because it’s damn depressing as hell. It’s very well-written, Ellen Emerson White is doing her thing with snappy characters and sharp dialogue, but the subject matter is just so intrinsically depressing! Okay, let’s go. This is (unsurprisingly) about Kaiulani, the last royal Hawaiian princess, and opens in 1889 in Waikiki, Oahu, before it became the most sought-after honeymoon destination on the planet. Kaiulani’s mother died two years previously and now that she is a teenager, her father is sending her to England for schooling, since she is destined to be queen one day. 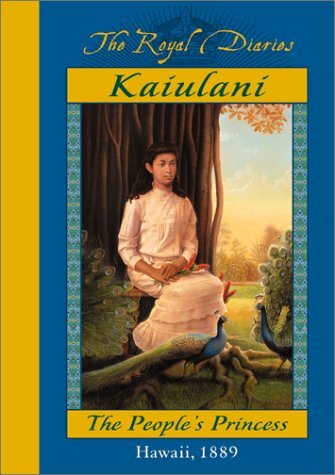 Kaiulani is half Hawaiian and half Scottish, as her father is from Scotland, and I’m reasonably certain that this is the only Royal Diaries/Dear America/etc book about a mixed-race character. One of my favourite things about the Royal Diaries series is their willingness to focus on non-white characters. Nine of the twenty books are about non-white non-European royals (ten if you count Cleopatra, whose lineage is unclear, and could probably be counted in either column), which is a really terrific percentage for a young-adult series focusing on princesses, and includes a Mayan queen. That is awesome and I fully want to support any series that improves the visibility of non-white people in YA fiction. I haven’t done a book about a boy yet, and I happen to have this one out from the library, so let’s start with it. Book: The Journal of Sean Sullivan, A Transcontinental Railroad Worker: Nebraska and Points West, 1867. Why did the My Name is America books not get decent titles? This book already sounds like it’s going to be more boring than fishing cat toys out from under the stove for the 33rd time today. My personal theory on the MNIA books is that they never took off not because boys don’t like to read, but boys don’t like to read boring books, and this one doesn’t even sound interesting. 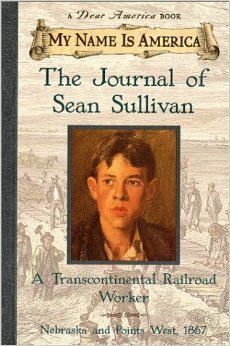 Sean Sullivan is a teenager, and his father is taking him to work on the railroad for the very first time. Sean’s mother has died, so I’m assuming they don’t have any reason to stay in the East, and so Sean is very enthused to start earning a wage. On page nine he meets a prostitute in the street and gets scared, so maybe this book will shape up to be slightly more interesting than the cat toy thing. Now, I figured, while I’m on a Revolutionary War kick, I might as well do this gem that I picked up in a Kingston used bookstore. 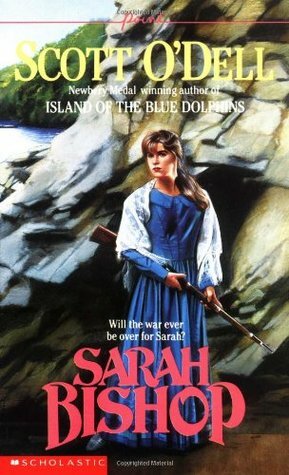 Book: Sarah Bishop, by Scott O’Dell, 1980. I have a very clear, very distinct memory of absolutely loving this book when I first came across it, which must have been in about Grade 5 or so. The book struck me like a live wire, so there must be some memory there. But even when reading the blurb on the back of the book I can’t remember anything about it, so this should be an entertaining reread. Let’s continue on with the Revolutionary War theme, because I have a truly surprising number of books on that topic. 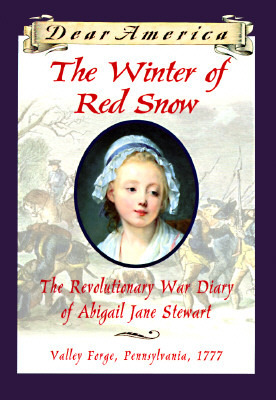 Book: The Winter of the Red Snow: The Revolutionary War Diary of Abigail Jane Stewart, Valley Forge, Pennsylvania, 1777. Kristiana Gregory, 1996. This is an interesting one because though it’s set in the Revolutionary era, it’s definitely during the progress of the war rather than in the “exciting” part of 1776, with the Declaration of Independence and the outbreak of war and all the other exciting stuff. Anyone who passed fourth grade can tell you right from the title that it’s going to be taking place during the terrible winter Washington’s soldiers spent at Valley Forge, where the men were starving and had no shoes and left bloody footprints in the snow. But like 99% of historical novels, there are going to be very few surprises here in terms of what exactly happened there.